Given a vector space V and a subspace W of V, we consider the semigroup (under composition) S(V, W), consisting of all linear transformations on V which leave the subspace W invariant. In this paper, we characterize the natural partial order on S(V, W). In the partially ordered set, we determine the compatibility of their elements, and find all maximal and minimal elements. Also, we give necessary and sufficient conditions for S(V, W) to be factorizable, unit-regular and directly finite. 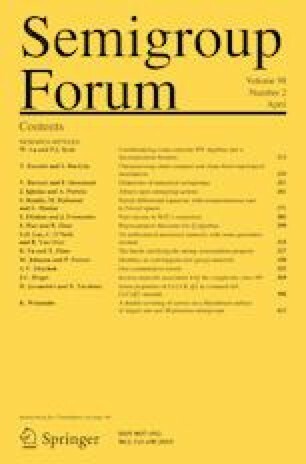 Chaiya, Y., Pookpienlert, C., Sanwong, J.: Semigroups of linear transformations with fixed subspaces: green’s relations, ideals and finiteness conditions. Asian Eur. J. Math. https://doi.org/10.1142/s1793557119500621.